It is designed suit to 5 Gallon & 3 Gallon neck sleeve shrink packaging. It adopts positioning rule and Bottle-pressing mechanism, which makes the position of the label more stable. Max. 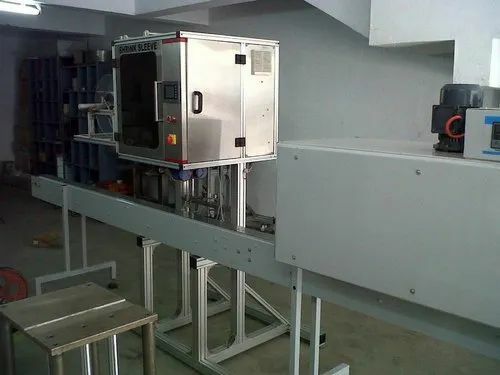 speed of casting label can be up to 100Bottles per minute.